Cosmic travelers will land on the Red Planet in a mushroom-looking spacecraft, NASA hopes. 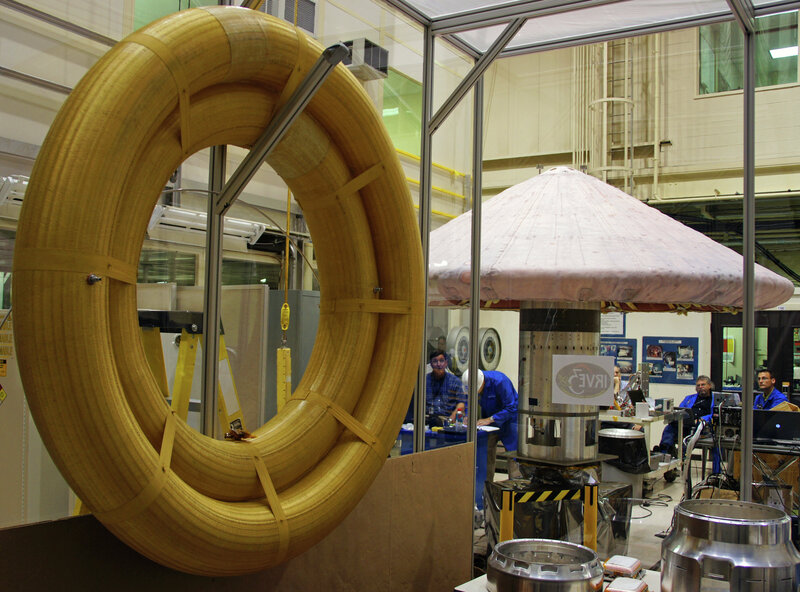 MOSCOW, January 4 (Sputnik) – NASA is crafting a donut-shaped inflatable landing mechanism, which will become the key to sending a manned expedition to Mars, AP reports. Leaving a human footprint on Mars has been a cherished dream for generations of scientists. However, a manned expedition cannot be sent to the Red Planet until a safe and reliable landing system is designed. Because of the thin atmosphere, neither rockets nor parachutes can be employed for delivering loads heavier than a rover. However, NASA’s Langley Research Center engineers have come to grips with this challenge after ten years of hard work. 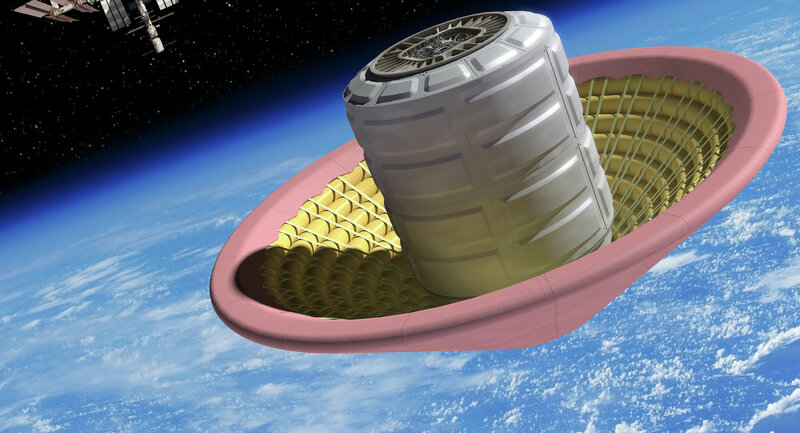 As if the scientists found inspiration in their childhood, they invented an inflatable donut-looking heat shield for entering a planet’s atmosphere – the Hypersonic Inflatable Aerodynamic Decelerator, or HIAD. According to ABC News, “the rings will be filled with nitrogen and covered with a thermal blanket.” When activated, they will enlarge just like a car airbag and form a large “mushroom” operating as a brake. 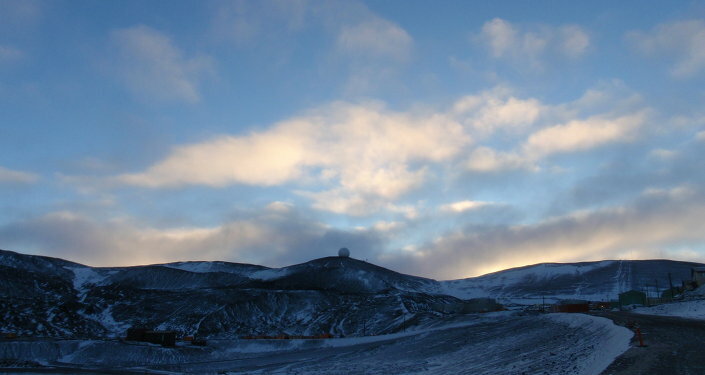 “Think of putting your hand out the window when you drive out on the highway," suggests Anthony Calomino, the principal investigator for materials and structures for hypersonic re-entry. "The bigger the hand, the more the force you create. The bigger the aeroshell, the more you decelerate." At the same time, the projected device is quite light which would save valuable energy and volume during a space journey. "The idea is that you would have something that could be packed up, put in a very small volume and then deployed into a very large size," the developer explains, as quoted by NASA. "We make use of that atmosphere as much as we can, because it means we don't have to carry all that fuel with us," adds Neil Cheatwood, the senior Langley engineer for advanced entry, descent and landing systems, as quoted by ABC News. He also suggests that the idea can be applied to exploration of such atmosphere-covered planets as Titan, Jupiter or Venus, and other celestial bodies. NASA Rover Detects Spike of Methane on Mars: Life on Red Planet? Experiments are underway, and “the sizes tested had diameters of roughly 11, 13 and 14.5 feet, about half the size envisioned for the functional system that would use about eight to 10 concentric rings”, NASA reports. "The science of exploration would benefit from a system like HIAD because it would allow the investigation of the southern highlands, where it is thought that a portion of the planet was not under water when Mars had an ocean," Calomino said commenting on a possible use of the “donut” in a rover delivery after 2020. The mechanism is also being tested for retrieving second-stage rockets applied for dispatching vehicles into space. The scientists plan to check how HIAD will stand the re-entry in Earth’s atmosphere in 2016 to decide whether it can return equipment from the International Space Station (ISS). NASA hopes to send a human mission to Mars in 2030.